Carpenter ants near Crystal Lake are a serious summer pest that can cause severe damage to your home and property. If you are worried about an ant infestation this summer, it is a great idea to take the time to learn how to identify carpenter ants in your home. Since carpenter ants cause damage to wooden structures, they can often be mistaken for termites. However, while termites eat wood and other carbon-based materials, carpenter ants simply chew through wood to create their homes. 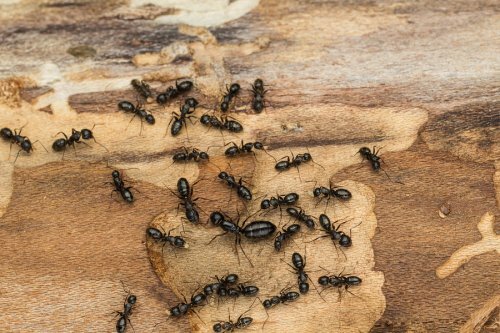 When your home has a carpenter ant infestation, you may find wood shavings around certain wooden surfaces near your property. In addition, if you see visible ants around your home, you can look for the carpenter ant’s distinctive, heart-shaped face and reddish-brown body. With the help of an exterminator offering pest control services, you can remove a carpenter ant problem at the source. By hiring an exterminator that specializes in removing bugs, you will have total peace of mind after your pest control services have been completed.